(109) ^ ^ ^ ^ This boulder had about 15% of its mass sticking out above the ground. And it was heavy, maybe half a ton in weight. 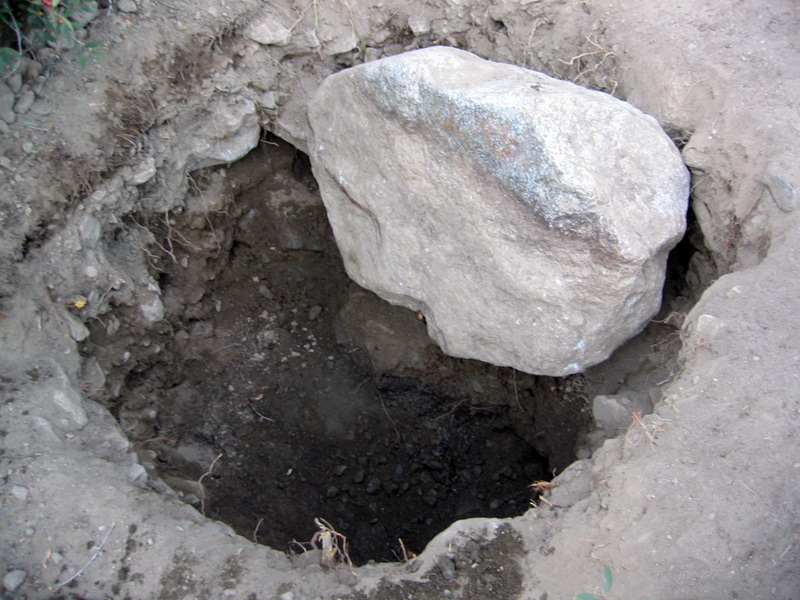 It was simply too heavy to lift it out of the hole in which it lay. Or not easily with the simple tools available. 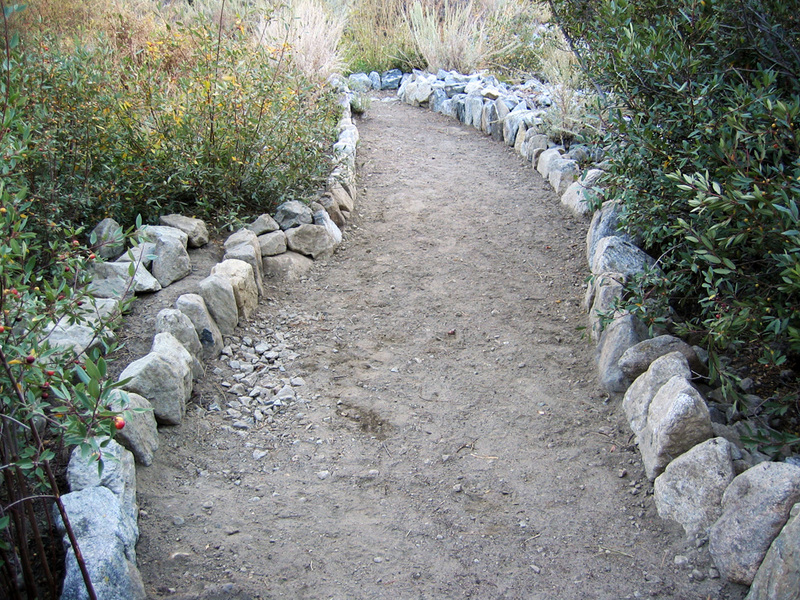 (110) ^ ^ ^ ^ It was not desirable to divert the pathway to go around the protruding boulder. It simply had to go, but how? 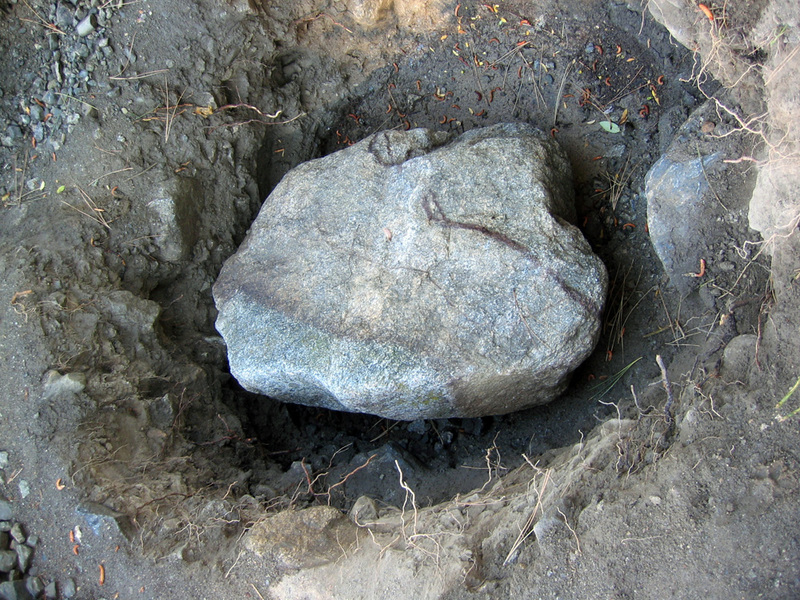 (111) ^ ^ ^ ^ After much deliberation, a decision was made to dig an even deeper hole right next to the boulder. 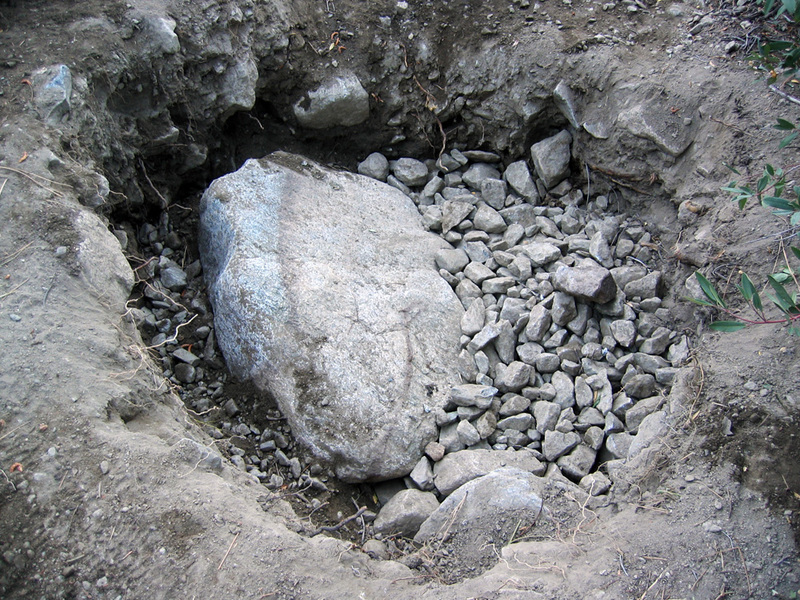 (112) ^ ^ ^ ^ A neighbor, Jeff, helped to roll the boulder over into the deeper hole. 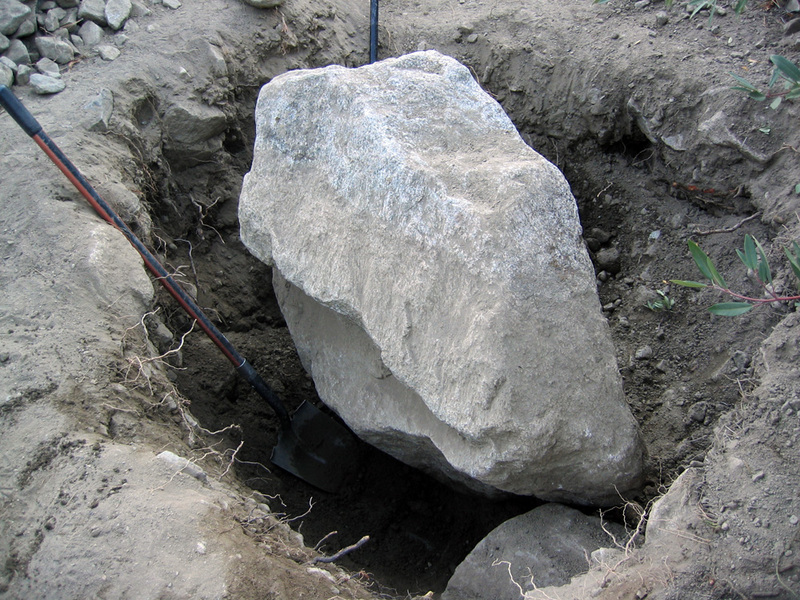 Water from a garden hose helped to settle the soil under the boulder to provide a firm foundation. 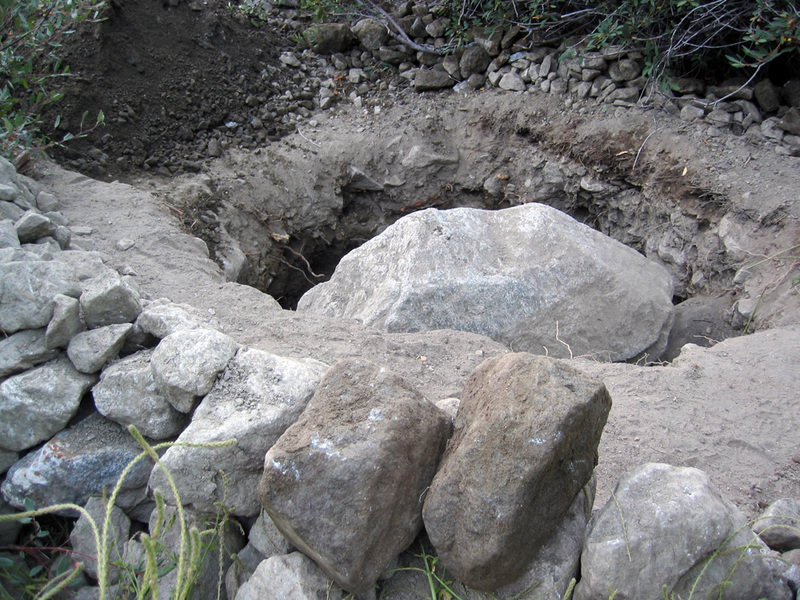 (113) ^ ^ ^ ^ The toppled boulder laying on its side at the bottom of the deeper hole, now a couple of feet below the surface of the new pathway planned to go across above. 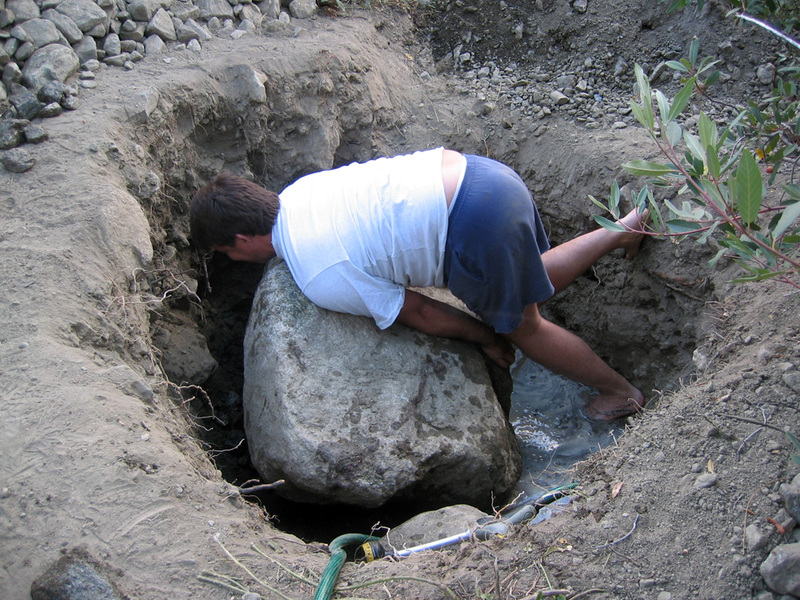 (114) ^ ^ ^ ^ Filling in the hole to completely bury the boulder .... to make it "disappear". 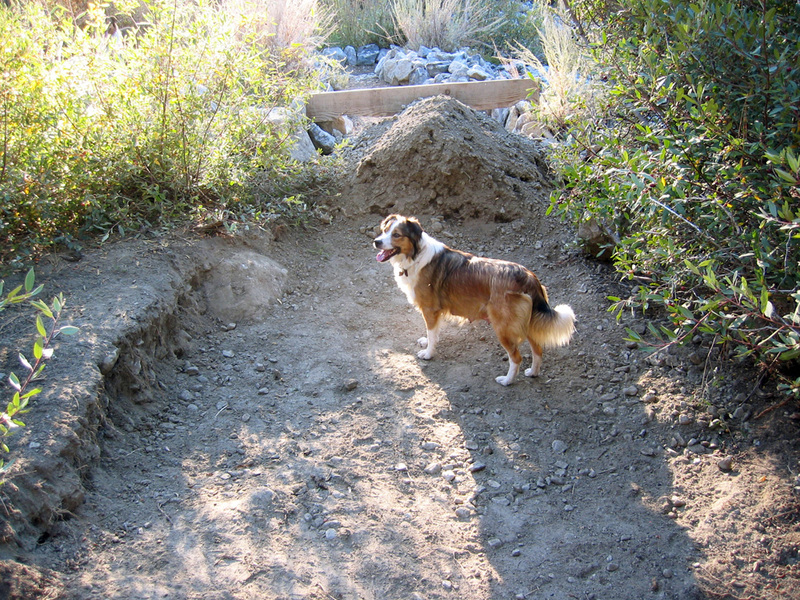 (115) ^ ^ ^ ^ Now filled in, Zena stands on top of where the hole used to be. (116) ^ ^ ^ ^ Now you see it; now you don't! 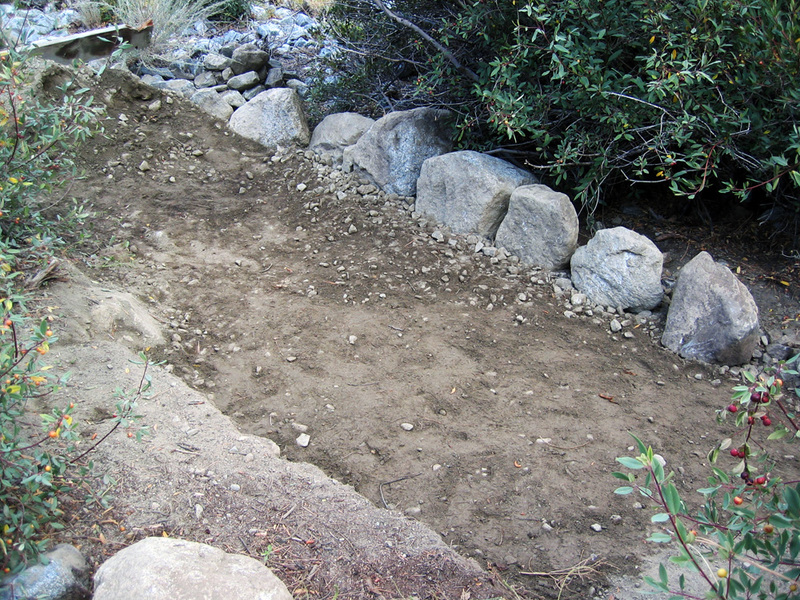 No more boulder sticking up for people to stumble over. 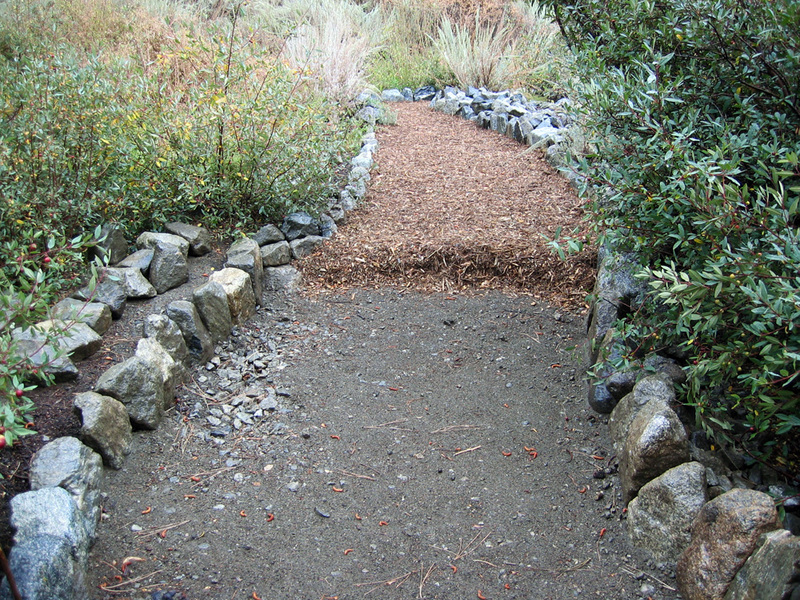 (117) ^ ^ ^ ^ The new pathway ready for wood chips. The boulder used to be sticking up in the foreground in this photograph. (118) ^ ^ ^ ^ A thick layer of wood chips completes the job. The entire operation took a little over 2 weeks to complete in the latter part of September, 2005.